“If you don’t know history, then you don’t know anything. You are a leaf that doesn’t know it is part of a tree,” said Michael Crichton. 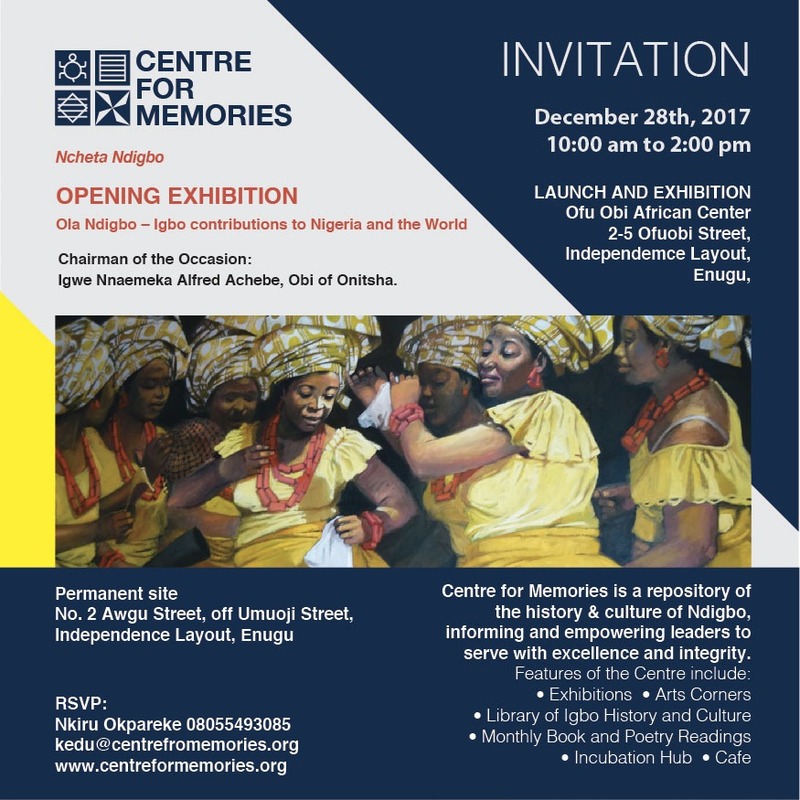 In this regard, the Centre for Memories, a repository of the history and culture of Ndigbo, with the aim of informing and empowering leaders to serve with excellence and integrity, will be launched on Thursday, December 28th. 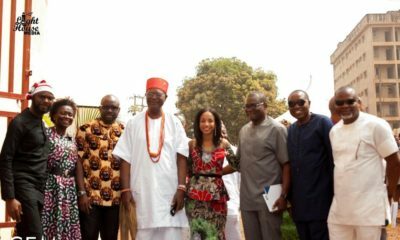 The centre, which aims to be the leading hub for Igbo history, culture, and excellence, is a vibrant space which will be open from the 28th all through the New Year celebration, and through the year. The chairman of the occasion is the Obi of Onitsha, Igwe Nnaemeka Alfred Achebe. Bring your friends, family and children to learn about history, culture, values and excellence. Venue: Ofu Obi African Centre, No 2, Ofuobi street, independence layout, Enugu. The centre’s permanent site is at no 2, Awgu street, off Umuoji street, independence layout, Enugu. Visit the website – www.centreformemories.org to learn more about this. Visit http://www.centreformemories.org/projects/cfm-opening to register for the opening.